TheArtian: What is the AIR program all about? 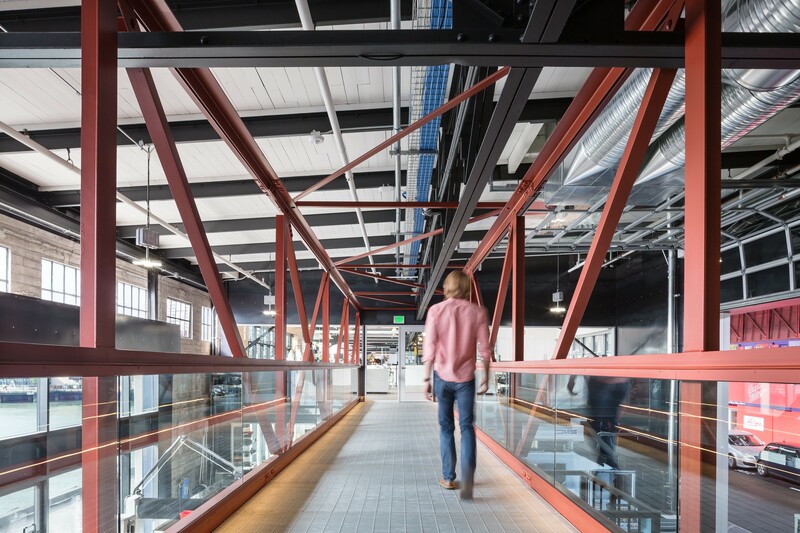 Vanessa Sigurdson: The Artists in Residence program (AiR) welcomes designers, artists, engineers, and other innovators to explore the future of making things at the Autodesk Workshop at Pier 9. Since the program began in 2012, over 150 artists from around the world have imagined, designed, and created one of a kind pieces at Pier 9. To be invited to participate in the AiR program, artists must exhibit a willingness to explore creative and compelling applications using today’s latest manufacturing technologies. With full access to the Autodesk software suites and production quality tooling, artists can push the boundaries of what can be done using these resources. The resident artists own the intellectual property they create, and we only ask they share what they discover through Instructables and inspire others. Pier 9 is a 35,000 square-foot workshop and office space located on the historic San Francisco waterfront. 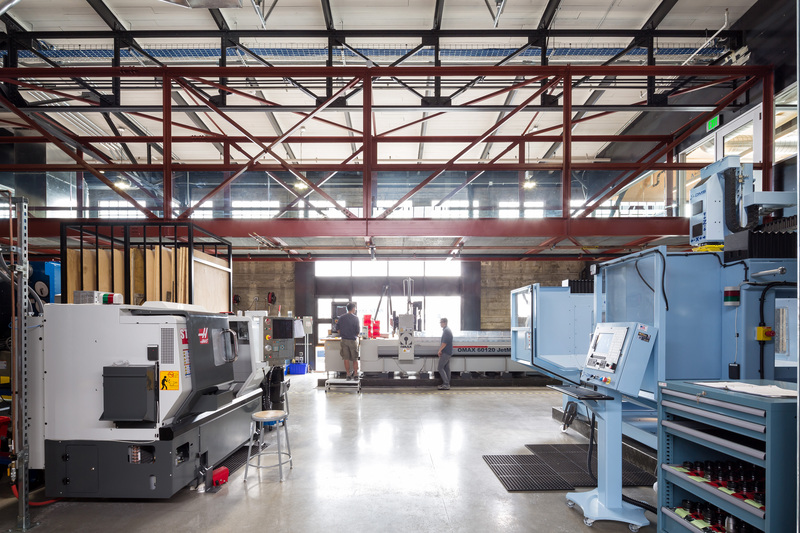 The workshop encourages innovation and exploration and Autodesk employees, partners, and artists in residence, access to production quality 3D printers, a full service CNC (computer numeric controlled) room and state of the art wood and metal shops. 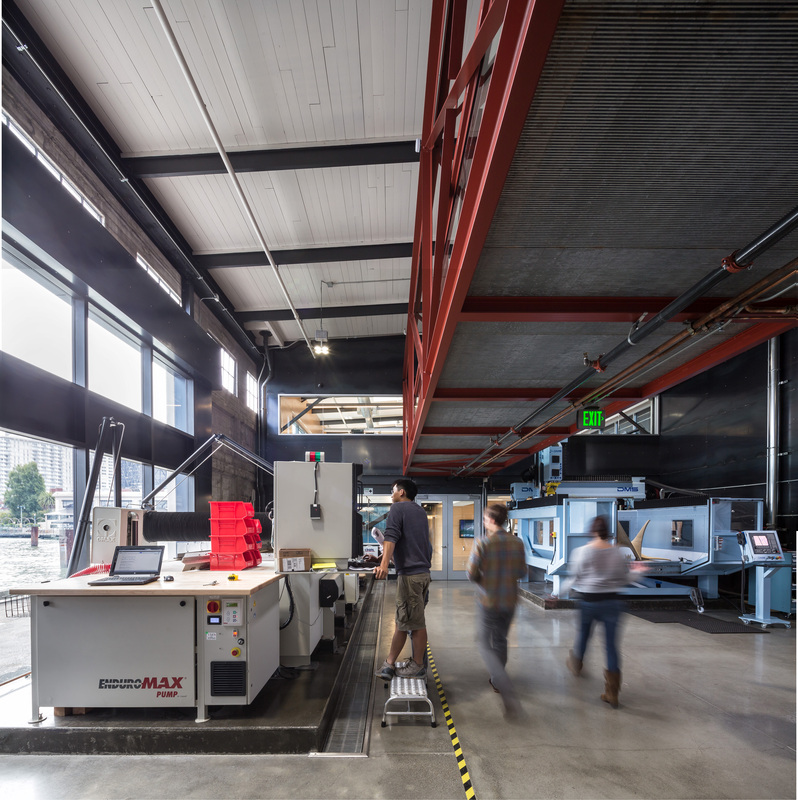 It was also where our 3D printing platform and printer were developed, and where the Autodesk Research team explores the future of robotics and bio/nano technology. 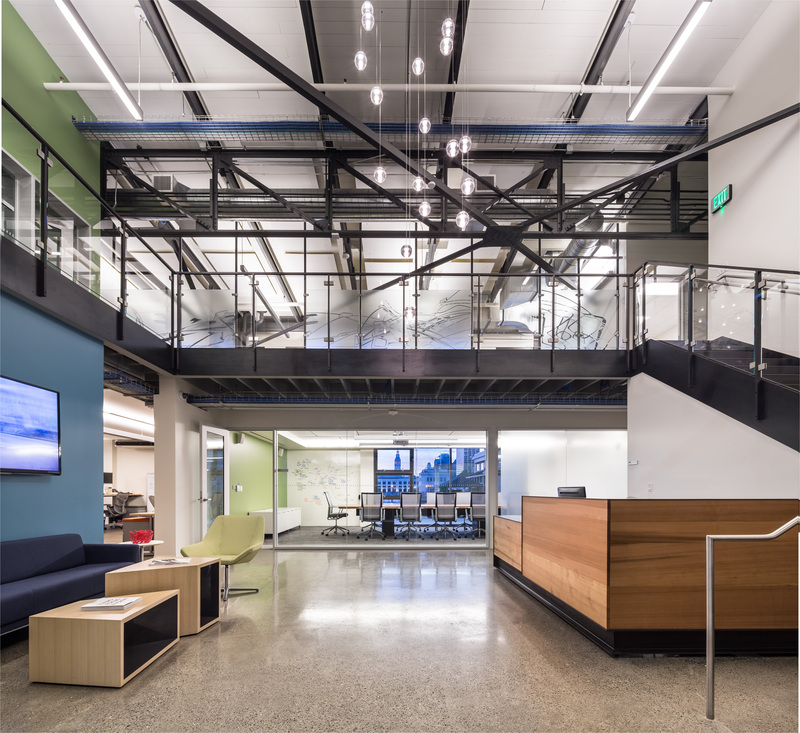 In addition to Pier 9, Autodesk also has two other similar facilities dedicated to exploring design and technology: the Boston BUILD Space and a space in Toronto. Each facility tailors its programs, business objectives and community activities to the needs of the local market. Every year, we bring on two cohorts, each for a period of four months. Each cohort consists of 16 artists or ‘AiRs’ who are ready to explore how they can interact with these tools and further their own individual practices. We select individuals who have begun to develop a vocabulary around digital design and fabrication, and can demonstrate that they have the ability to take full advantage of this opportunity. Once selected, the 16 artists join us for equipment and software training, followed by programing that helps them get to know our tech-savvy community. The exploration that follows can manifest in a completed final project(s), research or more. What makes this corporate residency unique, is that our artists own 100% of their work. Additionally, we provide an $8,000 stipend for the four months and cover material costs separately. At the end of each the residency, AiRs get the chance to share their work in an exhibit that is open to the public. They also present their findings to our community, and this is shared online. For more insight into the project, please visit our website and vimeo page. More information on the facilities can be found on the Pier 9 site. TA: Why did Autodesk start the AIR program? VS: The AiR program originated with Instructables as a way of exploring unchartered territories in the realm of making. Initially the program worked with makers who created unconventional projects and were passionate about documenting and sharing their processes. Today, the program evolved to welcome a wider range of artists exploring the future of technology and creativity. We invite artists who are essentially experts in their fields, to bring in depth knowledge to our community and give them the ability to explore how our organization’s tools and resources can further their practices. Having these artists work alongside us allows us to understand how we can make better products for our clients, both current and future. Our artists also help us share this knowledge with our customers as a means of inspiring them to push the limits of what our tools can do. VS: The interaction between our artists and employees occurs at various stages during and even after the residency. Beginning in the workshop, employees and AiRs share the same space and tend to rub elbows around the equipment as they learn how to use our tools and execute on their own projects. We facilite meet-n-greets at various levels from community lunches through to the facilitation of meetings both inside and outside of the organization. Cross pollination of ideas often occurs informally and organically, leading to meaningful and lasting collaborations. Sharing of skills is another way that we bring the artists and employees together. Every so often, AiRs can volunteer to provide internal workshops at Pier 9 to share the skills and/or knowledge they bring to our community. We also facilitate presentations by our artists and employees to help them share ideas and engage in meaningful discussions around their work. Beyond that, AiRs are also encouraged to reach out to employees within the organization to solicit technical support, explore new tools currently under development and establish long-term connections. We also have a group of employees known as Software Evangelists, who are on hand to answer questions and create a feedback loop to our development teams. TA: How does the program defines success? What is the desired outcome? VS: It’s been wonderful! Over the last few years, the AiR Program has reached many levels of success and has been instrumental in shaping the culture and community within our organization. Internally, we are experiencing tremendous support from multiple teams at different levels within the company. These teams have opened their doors to allow AiRs to use tools that go beyond what is available in the Pier 9 workshop. In return, AiRs are helping us demonstrate compelling applications to the technology and are providing valuable feedback to the developers. Below are some examples of projects where AiRs have collaborated with our teams to push the boundaries of what our software and equipment can do. Madeline Robot Tamer – this artist worked closely with the Autodesk Applied Research team to develop new methods of collaboration with robots. Optimal Bow – this artist helped test one of our experimental design products that leverages the power of computing to create thousands of iterations for any given product. SliceLab – this duo worked closely with Autodesk’s Ember 3D printer team to identify and establish workflows in jewelry casting using 3D printed designs. SliceLab: creating a new line of jewelry with the Ember 3d printer from Ember3DP on Vimeo. Some of our AiRs have even gone on to join our organization in roles that never existed and are bringing to us opportunities that allow our products to create an impact in the lives of others. Andreas Bastian joined us in 2014 to develop new methods of 3D printing and since then has become our resident 3D Printing Research Scientist. During his residency he introduced autodesk products to an online global community, e-NABLE, who provides prosthetic devices to children. Since then the community has grown to have over 8000 contributors (many using Autodesk products) and the community has provided an estimated number of over 1,500 devices to children worldwide. Here is a video. 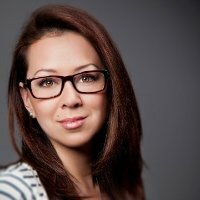 Externally, the reputation of the AiR Program has spread internationally bringing established artists/designers, thought leaders, academics/researchers, and various other experts to our diverse community. Even though we do very little to market the program, we are seeing a positive shift in the quantity and quality of our applicants, as well as the type of work that they are exploring. In the media, the artist in residence have made considerable waves in the space of art+design+technology demonstrating new ideas and sharing processes that take advantage of our unique tool sets. This has helped our company reach a broader audience, attract thought leaders who are bringing with them meaningful dialogue in and around the space of digital design and technology. Ultimately the AiR Program defines our success by identifying the qualitative impact that we are creating both internally and in the world around us. Images Courtesy of Autodesk Inc., 2016.